Renowned as both a songwriter and guitarist of the highest calibre, and possessing an equally impressive canon of recorded works, Richard Thompson has pretty much done it all. He is bringing his Electric Trio to Adelaide for a one-off Adelaide Festival show. We catch up with him and ask where the trio has been touring as of late? Your Adelaide concert will undoubtedly focus on the Electric album. Can people expect any surprises? Are you planning any new songs, or interesting covers? Given the various ways that you can, and do, present your music on stage, why does the notion of the Electric Trio appeal to you, and why now? Would it be right or wrong to assume there will be no acoustic guitar in your Adelaide show? How did your show come to be part of the Adelaide Festival? You’re still releasing records, still touring, showing no signs of letting up. Do you ever have to stop and wonder where the spark keeps coming from? “I think it’s who I am. Sometimes, you have to stop and consider if you are doing the right thing, if you have the right attitude, if you’re achieving whatever goals you have. I’ve been doing this for a long time now, since I was at school. I’ve stopped a couple of times here and there, just to consider other avenues in life, but I keep coming back to music. It does seem the most enjoyable thing I can do; for me it’s still very fulfilling. Will you continue with this the Electric Trio, or are there other projects you are keen to embrace? “Well, the Electric Trio is a lot of fun,” Richard says. “The new album was tremendous fun to do. Also, it’s just really enjoyable to play live with those guys. They’re such great musicians. “The Thompson Family project was also great. We just played some live shows in New York, with the family. Do you have a favourite cover version of a Richard Thompson song? “Yes. It’s fairly obscure and has probably been deleted but I’ll tell you anyway. It’s called The Great Valerio and it’s by a band called Swan Arcade. I think they recorded it back in the 1970s, it’s just a great three-piece a Capella version of that song. I love that. If you could only play acoustic or electric guitar, which would it be? 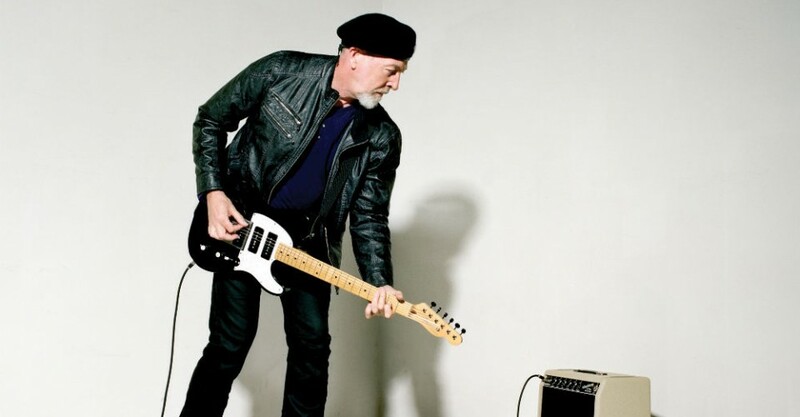 Richard Thompson Electric Trio performs as part of the Adelaide Festival at Her Majesty’s Theatre from 8.00pm on Thu Mar 5.